If you missed #28 click here. Best Moment: Time attack levels are lots of fun, and I just love bouncing on my tail as Gex! I never did play the first two Gex games, and I only played this because I saw it in a video game renting shop (oh, those were the days...). But it was a really good platformer. It's actually not particularly PG, despite it being a platformer that looks and plays like a game for kids. 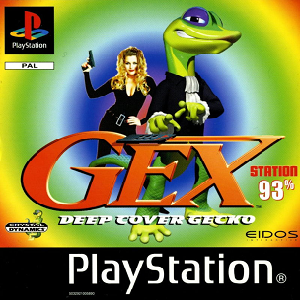 Gex is a smooth talking gecko who must try and save Agent XTra, who is played by Baywatch actress and model Marliece Andrada, the only live action character in the game. The game is just a fun little platformer, where you go through TVs which act like levels to collect items, sometimes in a time limit, and defeat enemies. It's not the most original platformer, but the fact that you're a gecko who can bounce on his tail is quite unusual I suppose. 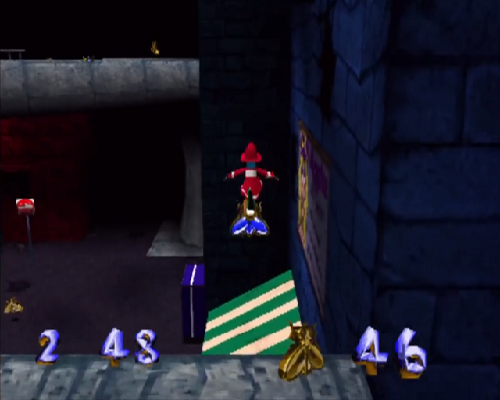 It's a fun game, one you should consider if you're looking for a left of field platformer on the PS1 that's not called Spyro or Crash Bandicoot. What game narrowly missed out on the Top 25? Click here to find out!